In circumstances whereby people need help with a challenging situation or immediate therapeutic attention, the following charities have transformed many lives and are set up to care about the psychological welfare of others, especially when people are in distress and feeling vulnerable. The Campaign Against Living Miserably (CALM) is leading a movement against suicide, the single biggest killer of men under 45 in the UK. Every day from 5pm-midnight CALM’s free, confidential and anonymous helpline and webchat are available for any man who needs support. Visit www.thecalmzone.net to access information, advice and inspiring stories. Samaritans is available round the clock, every single day of the year, for anyone who is struggling to cope. You can call Samaritans for free from any phone on 116 123, email them at jo@samaritans.org or visit samaritans.org to find details of your nearest branch. Samaritans – www.samaritans.org and free helpline number 116 123. MHL Counselling is registered with the following counselling directories to help promote emotional health and wellbeing. Find a Therapy is one of the UK’s leading online directories of therapists. We list practitioners from a wide range of disciplines, including physiotherapy, osteopathy, acupuncture, hypnotherapy and counselling to name just a few. 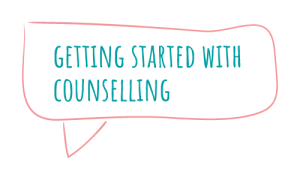 It can appear daunting when first considering whether or not to take that initial step and looking into the benefits that counselling could well provide. Rest assured, there is nothing to be worried about. MHL Counselling, offers a supportive and considerate approach to each and every client. Firstly you will need to book an initial consultation, which will last about 50 minutes. This gives us a starting point to work out which avenue of therapy is best suited to you and the concerns that you have. After this MHL, will arrange for a convenient time for your first therapy session, where upon the process of gaining insight and resolving your problems can begin and continue on a weekly basis. MHL Counselling provides professional counselling and therapy to anyone over the age of 18. We work on a completely confidential basis and you can find the details of our confidentiality agreement here. Our 3 main areas are Individual Counselling, Couples Counselling and Psychosexual Therapy. If you would like to book an initial consultation then please either contact us through the form on the right hand side or go to our contact section to find more details.